Soups and stews are making a regular appearance lately. At the beginning of the week, I was in Phoneix enjoying 75-degree weather. But, when I got home to Dallas it was a brisk 12 degrees. Needless to say, I wasn’t exactly thrilled. When it’s this cold outside there is nothing better than a hot bowl of soup or stew. Today I have collected some of my favorite soups and stews. But these are just a few of my favorites. If you want to see all my soups and stews visit my soups and stews page. Sopa de Pollo con Fideo (Chicken Noodle Soup) | This sopa de pollo con fideo (chicken noodle soup) is loaded with flavor, tender noodles, and chunks of chicken. It’s comfort in a bowl. 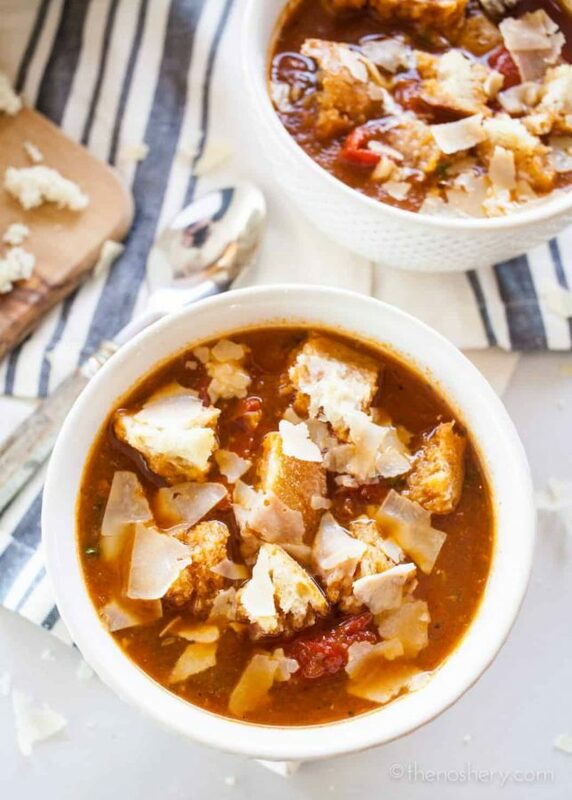 Chunky Roasted Tomato Soup | Changing up the traditional tomato soup and giving it a little texture. 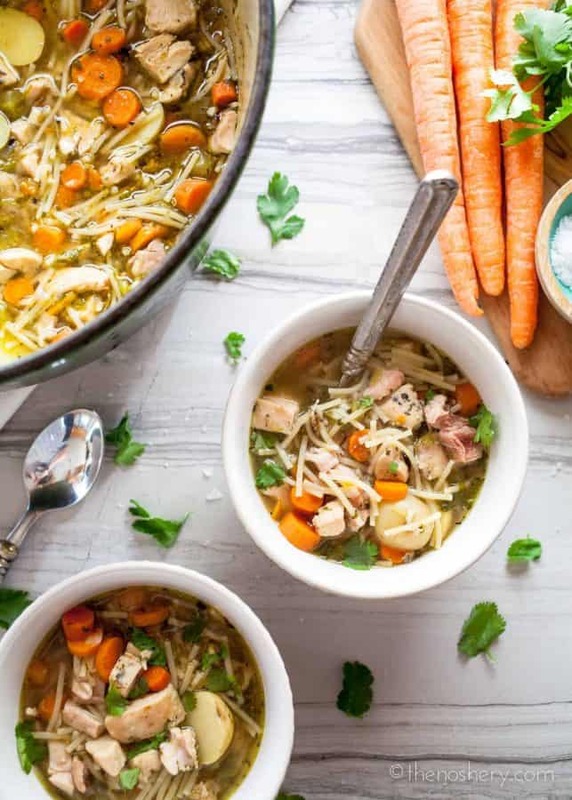 This is a simple rich and comforting soup with so much flavor for minimal effort. 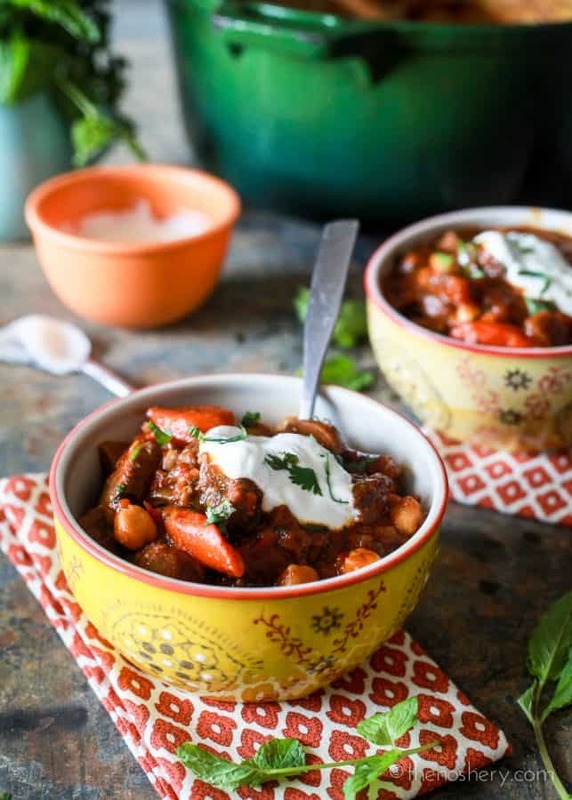 Moroccan Lamb Stew with Harissa and Garbanzos | Moroccan lamb stew is sweet, spicy, and fragrant. It’s a hearty and filling stew loaded with tender lamb in a harissa spiced sauce. It’s the perfect stew to curl up with on a cold day. If lamb isn’t your thing you can substitute beef or chicken. 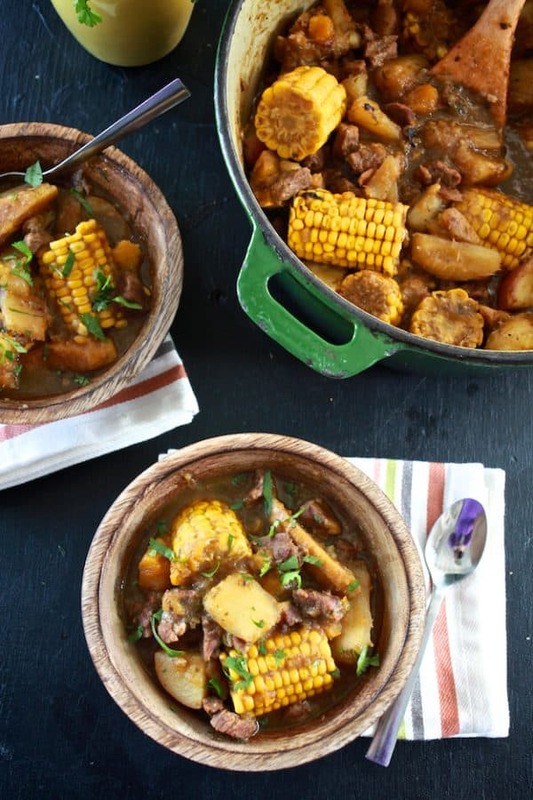 Sancocho (Puerto Rican Beef Stew) | Sancocho is a stew enjoyed in Spanish Caribbean islands. It’s made of a variety of starchy vegetables like yucca, plantain & potato in a savory beef broth. 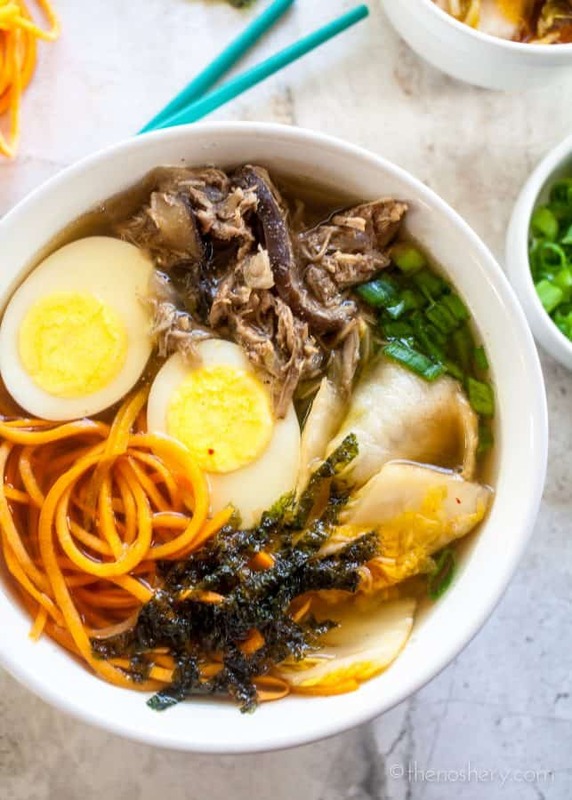 Slow Cooker Pork & Ramen | Slow cooked five spice pork served in a savory broth with sweet potato noodles. It’s not your classic ramen but it’s tasty! 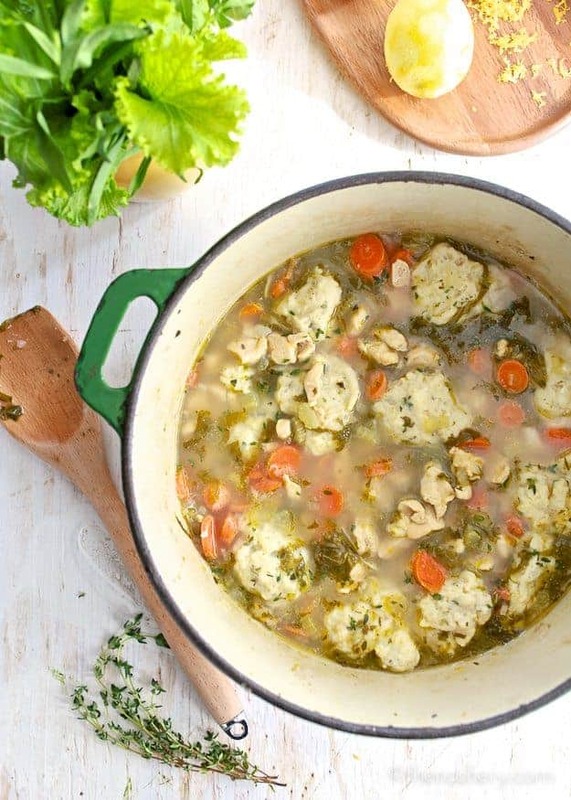 Lemon Chicken and Dumplings | Chicken and dumplings are classic comfort food. This version is lighter and brighter than your typical chicken and dumplings. 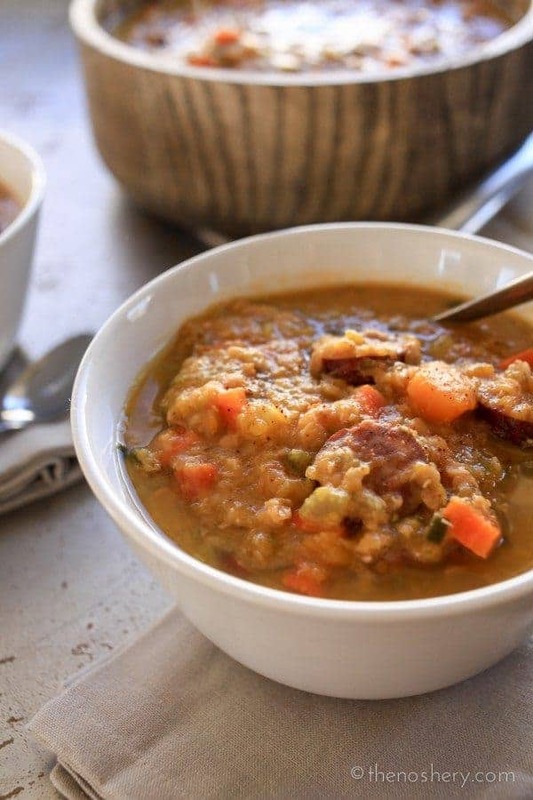 Slow Cooker Cajun Red Lentil and Butternut Soup | I love this soup because it has a hint of sweetness from the butternut that balances out the little spice of the cajun seasoning and andouille sausage. 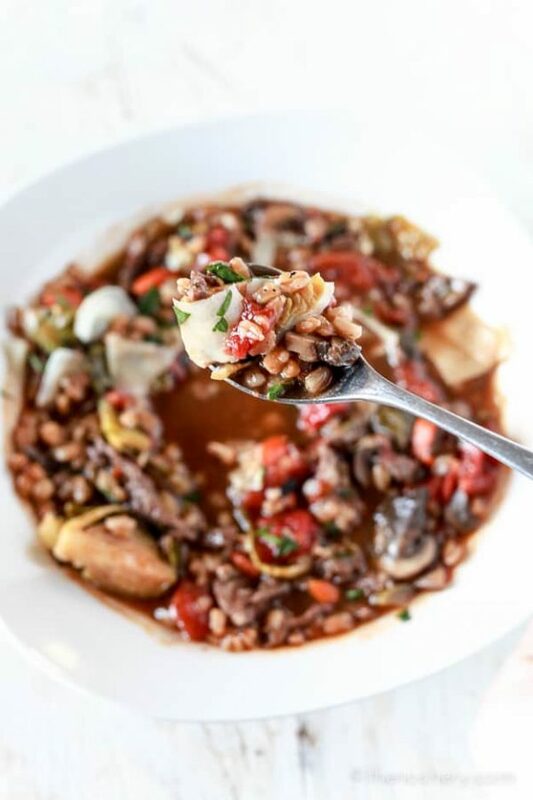 Rustic Beef, Mushroom and Farro Soup with Homemade Beef Stock | Stay warm on a cold day with this hearty beef, mushroom, and farro soup. Make it even better with homemade beef stock. It comforts the soul. 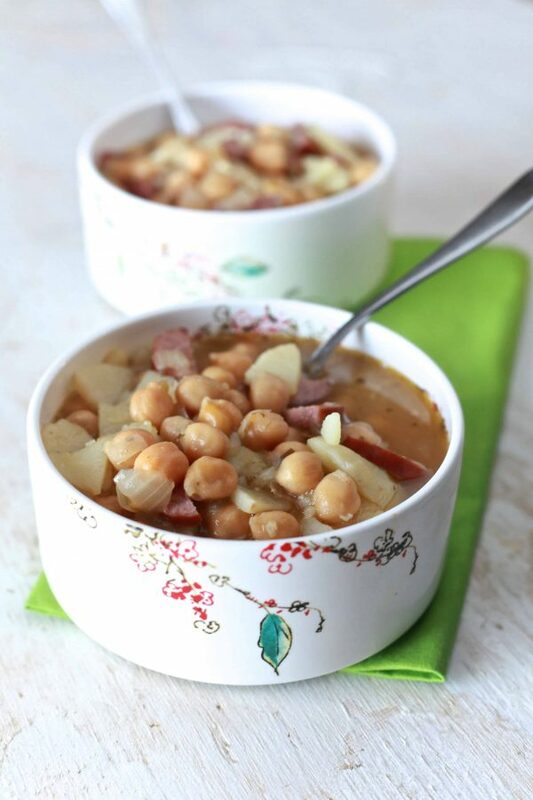 Spanish Bean Soup | I love this soup because it’s easy, crazy delicious and makes the best leftovers in the history of soup! When I visit my husband’s family they request that I make a big-o-pot of this soup every time. 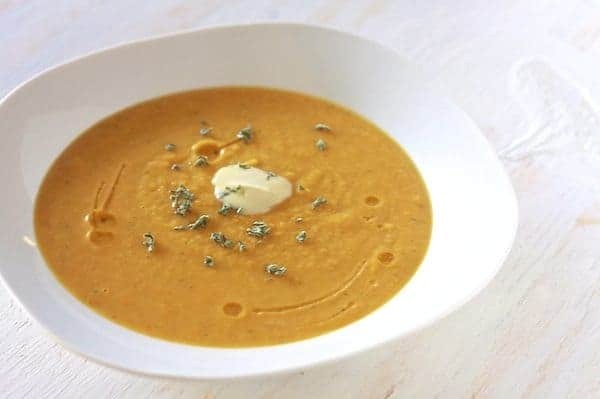 Roasted Butternut Squash & Sage Soup | I am not typically a fan of vegetable pureed soups but I always make an exception for this one. 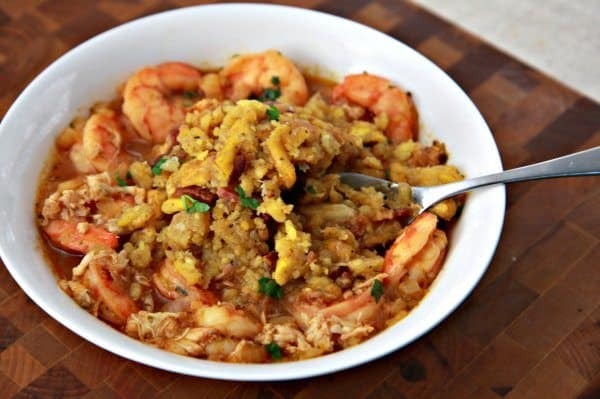 Mofongo con Sopa de Mariscos (Plantain Mash and Seafood Soup) | A savory seafood broth with shrimp topped with garlicy mashed plantains. Mmmmm! 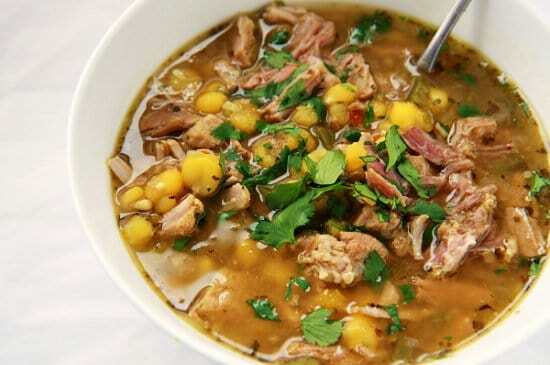 Posole: Pork and Hominy Soup | Flavorful broth with tender hominy and pork. What more could you ask for? 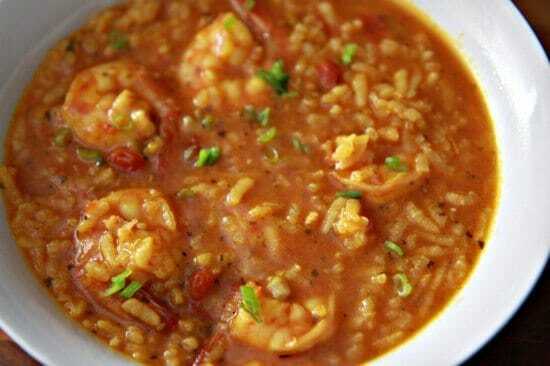 Asopao de Camarones | Asopao is one of my favorite easy soups. This soups reminding me of home.